​You may sponsor a table for you and your family/friends. Six (6) persons to a table ($150). If you choose to sponsor a table, please select "Write us a comment" and list names. Please let us know if you have any questions and we would be glad to assist you. 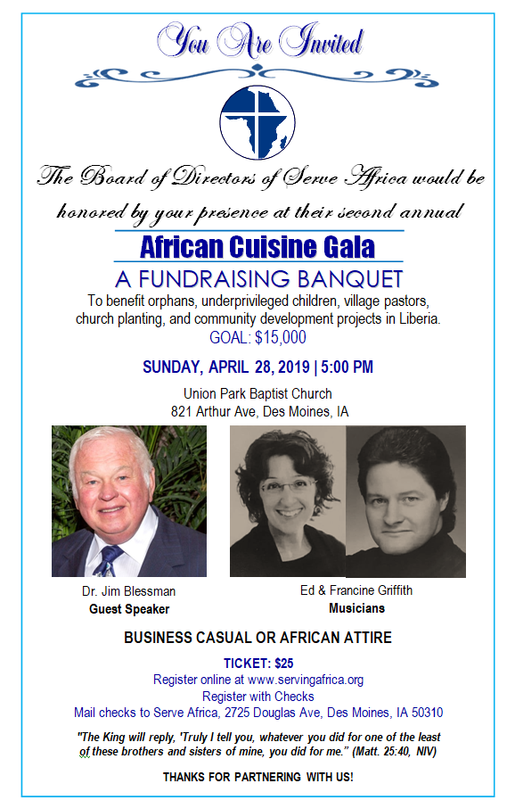 ​Call us at 515-525-5826 or email us at info@servingafrica.org.